Former President Jimmy Carter gave the commencement speech at Liberty University in Virginia on Saturday and he used the opportunity to poke fun at President Trump’s obsession with audience size. As nearly 20,000 graduates watched Carter speak, the 93-year-old humanitarian drew a comparison to the crowd size compared to Trump’s visit to Liberty. “It’s even bigger — I hate to say this — than it was last year,” Carter said. He was referring to the school’s previous commencement speech which was delivered by the 45th POTUS. “I don’t know if President Trump would admit that or not,” he quipped. Here’s Carter delivering his jab at the POTUS. Despite its evangelical roots, students at the Christian school laughed at the light jab. The school’s president, Jerry Falwell Jr., is a massive Trump supporter who will stop at nothing to forgive Trump for his repeated sins. Trump has come under fire on numerous occasions for lying about the size of his gatherings, most famously during his 2017 inauguration. Following his swearing in as President, Trump told then-White House Press Secretary Sean Spicer to announce that it was the most attended and watched inauguration in United States history — it was not. 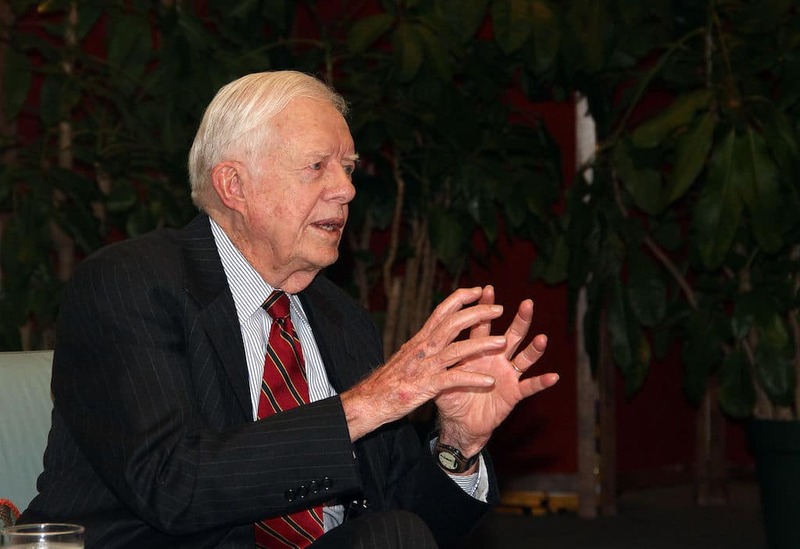 Carter wasn’t just attending the commencement to take jabs at Trump, he also spoke about Christianity, equality, justice, and other human rights.